Final Fantasy XIV’s chunky 2.3 update, complete with gargantuan beards and new dungeons, has just launched today. New questlines, challenging boss battles, chocobo raising and a mountain of other additions have being thrown into the MMO. 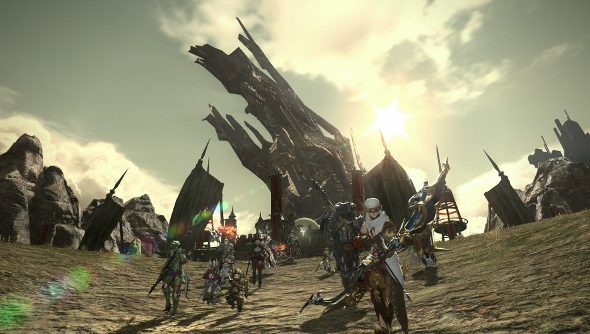 It’s come a long way since it was shut down and rebranded as A Realm Reborn, which our Nick became very fond when he worked away on his Final Fantasy XIV review, and called it one of the best MMORPGs on PC. Have you had a chance to dip into any of the new content? All the content in the update is free, but you will need to buy the base game – which comes with a month’s subscription – if you haven’t already. It’s £19.99/$24.99 on Steam, but it’s been on sale quite a bit, going down to around £10 a couple of times.